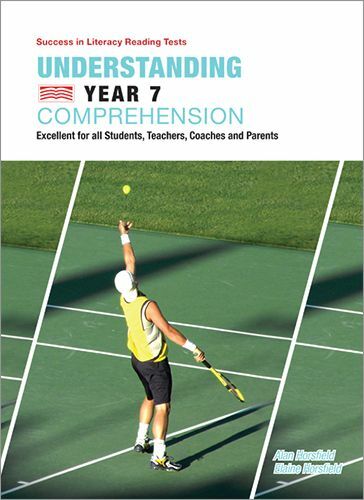 Success in Literacy Reading Tests – Understanding Year 7 Comprehension is excellent for all students, teachers, coaches and parents. Insight Text Guides - Persepolis is designed to help secondary English students understand and analyse the text. This comprehensive guide to Marjane Satrapi's graphic novel contains detailed chapter and character analyses, and explores genre, structure, language and themes. Essay topics and sample answers help to prepare students for creating written responses to the text. The Neap smartstudy® English text guide to Twelve Angry Men thoroughly analyses Reginald Rose’s critically acclaimed and widely adapted play. It is essentially a character study of twelve, unnamed jury members who must put aside personal experience and prejudice to follow the intentions of the American judicial system. Guilty or not guilty, one must question the amount of deliberation a life warrants.